EnlightenDogs is now taking doggy daycare dogs on Tuesday and Thursdays only. Some dogs love being a member of a pack. If your dog loves the company of other dogs, then Enlighten Dogs doggie daycare is definitely the place to be. Daycare is a great option for people who are going to be busy all day but want their dog to have fun, get exercise, and enjoy socialization. Also at EnlightenDogs dogs will be taken care of by trainers so they will be getting a little training as well. Some dogs love to run and wrestle, and some dogs love to just hang with their doggie friends dogs are matched with groups that fit their energy and play style. Your dogs can come in on occasion, or a regular basis while their owners are at work or running errands. Whatever your need, doggie daycare is a great way to give your dog a more active life, both physically and socially. Give your pup the chance to make some new doggie friends! 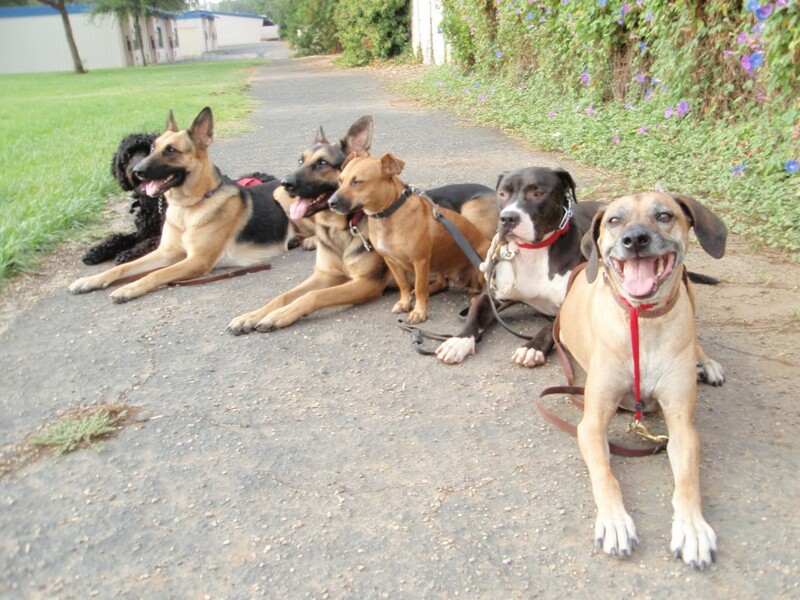 A Free evaluation is required for every dog before joining doggie daycare. The dog must be up-to-date on their shots and have a Bordetella(Kennel cough) current. Enlighten Dogs doggie daycare is for social dogs that are dog and human friendly. Enlighten Dogs has other programs like packrun, private lessons and group classes for dogs working on manners and behaviors. There will be a maxium of 8 dogs each day at Enlighten Dog Training Center daycare. We will have two groups separating the big dogs from little dogs. Most dogs alternate between play and rest from the time they’re dropped off until it’s time to go home! We have two options for clients to fit their busy schedule 8am-6pm options for owners that have busy work and life schedule. Then there is also a 9am-5pm option for dogs daily at lower cost. Daycare operates at a first come first serve so please reserve your spot. There are daily pay options and monthly pay options for a packaged price. We do not give discounts for multiple dogs, because we only take 8 dogs per day. There is a $10 pick up option for dogs that live in local areas Yucaipa, Redlands, Calimesa and Beaumont the pick up time is between 8am-10am. We do not have a drop off option. Monthly discount package pay for the whole month and get daycare for $30 per day this does not include (pick ups) if client wants that as option. Call now 951-846-0902 to schedule a Free evaluation.